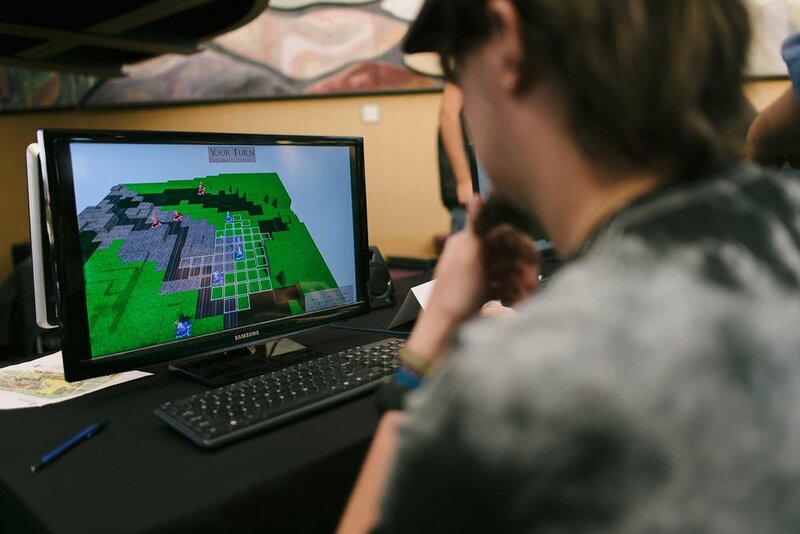 The Shawnee Game Conference (SGC) is devoted to all aspects of gaming, game design, simulation, Esports, and immersive technology. The 2019 event will be the 17th gaming conference to be held on Shawnee State University’s campus. SGC routinely showcases the best work of students, alumni, and industry professionals through interactive sessions, displays, and tournament competition. Industry professionals bring a wealth of knowledge to the conference every year with talks including computer science, character design, animation, production, development, and much more.